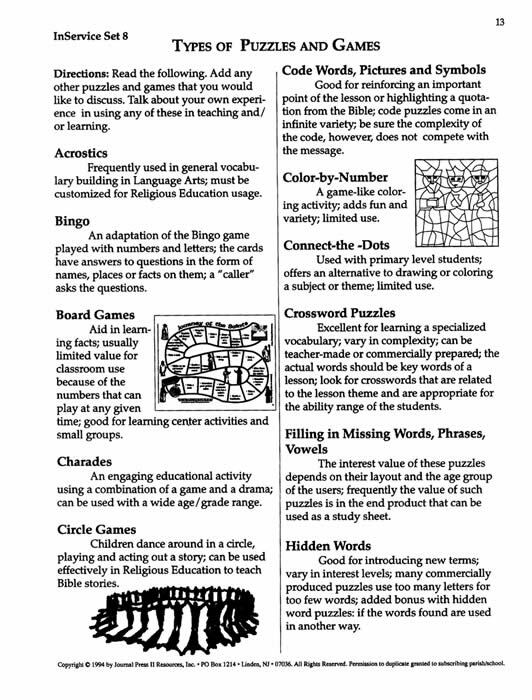 InService 8: Games and Puzzles in Rel.Ed. Discovering and evaluating creative, practical, and authentic GAMES & PUZZLES in Religious Education. Your purchase (below) will enable the placement of the InService Set 8 MasterSet PDF on your computer. You will receive an e-mail to enable your immediate download for the set. 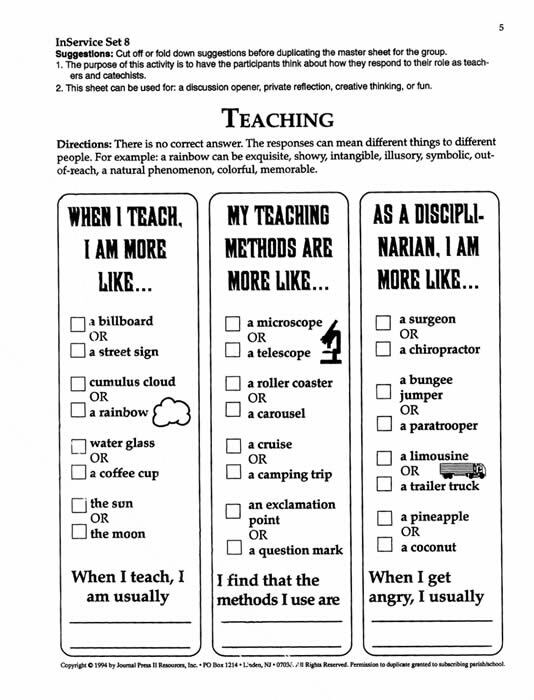 InService Set 8: Games and Puzzles in Rel.Ed.